The solar eclipse is coming. You may be wondering what all the fuss is about. After all, is a total solar eclipse really that big of a deal? Here are a few facts about the total solar eclipse 2017 to get you up to speed on Monday’s event. This is the first full solar eclipse in the United States since 1979. Before that, you have to go all the way back to 1918 for a full solar eclipse that went across all of America. The next ones will not be until 2024 and 2045, so now is the time to see an eclipse. Only a relatively small part of the nation will see the full solar eclipse. If you are not lucky enough to be in the path from Oregon to South Carolina, don’t worry. You’ll still get to a partial eclipse ranging from 75% – 99% coverage. This is the most important fact to know. Even if the sun is almost completely blocked out by the moon, you cannot look directly at the sun without experiencing eye damage. The damage is irreversible. You must look at the sun with special solar glasses or a solar viewing panel. Regular sunglasses or 3D sunglass are not acceptable. If you haven’t gotten a hold of glasses or a viewer, don’t worry. You can make one at home very easily with cardboard, tape, and a pin. You can also check out your local 711, library, or community groups for glasses. Check with friends and co-workers for extra glasses as well. Many companies sold glasses in packs of 5-10 so someone might have an extra pair on hand. You can take pictures of the eclipse but you must always keep your glasses on. Do not look directly at the sun while you adjust your phone or camera for a shot. Your smartphone camera will not be damaged if you take a picture of the sun since it is a small lens and only lets in a small amount of natural light. However, if you want to use your DSLR or point and shoot camera, you need to have a special filter for your lens. Otherwise, your camera will be permanently damaged. 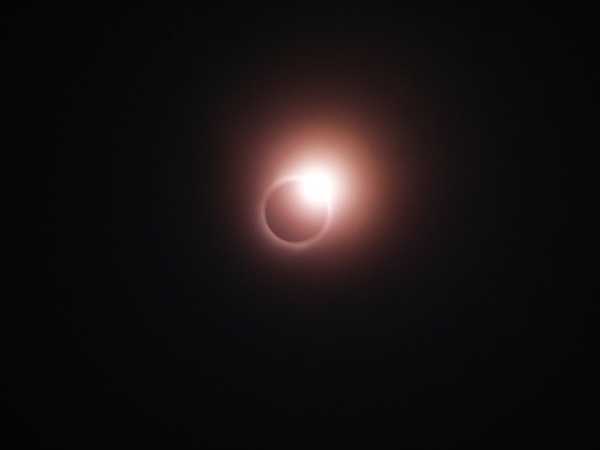 Some people believe that a total eclipse is a harbinger of evil or bad health for those whose birthday occurred on the day of or six months before the eclipse. There is absolutely no evidence of this being the case. While it may be eerie to experience total darkness for a few minutes in the middle of the day, it does mean there is impending doom. Now that you know the facts about the eclipse, you’re ready for Monday! Be sure to have a plan before it begins so you won’t miss the actual event. If you’d rather stay inside or can’t make it out, you can watch a livestream online and experience a full solar eclipse from your home or office.